I desire to replace my "ignition switch" re "as the alternator turns". "The switch" is 20 years old and the (now non-repeating) weird lights on the dash are not a sign of good things to come. I've already replaced all the other bits. If the new alternator or new battery had dumped, each would still be dumped - but it drives super nice, w no drivability issues to note at all. I took it to work and back again today - no issues. 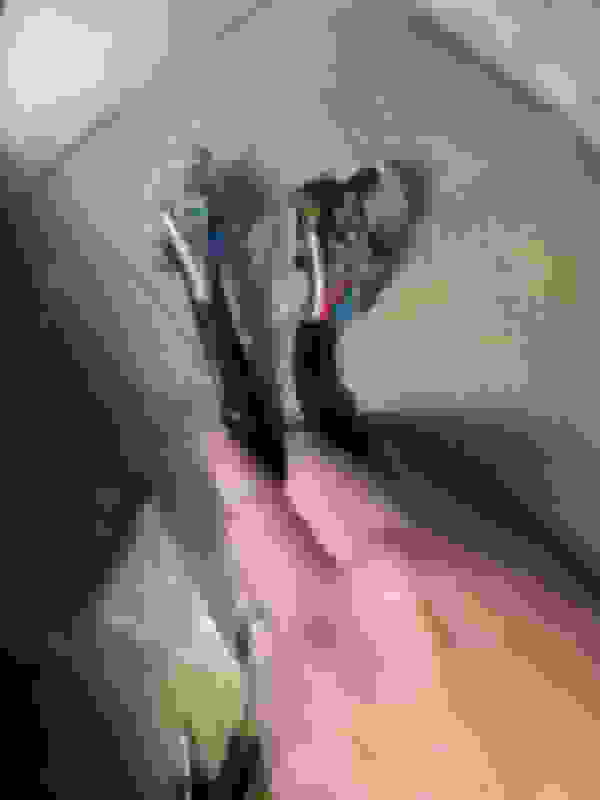 re: replacing that particular electrical part that's "hot all the time" - is this the correct part # below? I replaced the 98 model's switch a couple of years ago with an Intermotor. The 98 is my daughter's daily driver. She had an unexplained starting issue one day like the battery had died. So I decided the replace the switch since its not an uncommon failure item. No further problems with the new switch. I understand the switch works on other Nissan models. Don't be surprised if the new one has a tighter fit due to a new cable length. 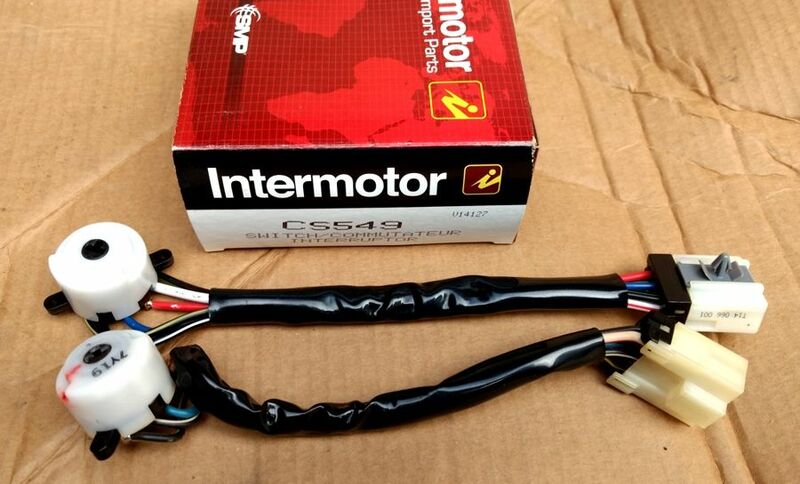 Not much price difference between Intermotor and OEM. I usually go with Intermotor, for select parts that I know, to get a better warranty and local exchange. Here's a picture of old and new switches below. I stated moving from from Advance batteries to Interstate. I'm growing tired of 36 month replacement warranty batteries that are "programmed to fail" at 39 months. I think the part number changed to US283 after I bought the one in the picture. Last edited by CS_AR; 02-09-2019 at 09:23 AM. I bought a $10 one off eBay for my daily beater. Will check back soon once it’s in. I replaced this. I got the OEM part # 48750-1E411 from www.infinitipartsdeal.com for $29.19. The under-column pic is of the old switch as installed - check out the burn marks on the white/red and green/black wires. Side-by-side shot below that - the new one is _longer_, so there's just a little bit more cable to snug up inside the column cover when putting it back together. This car has been running really well ever since I rebuilt the injectors - but it had seemed like just a very little bit doggy at idle, and even slightly more so in what we call "colder" weather down here. Not bad enough not to drive it. After replacing this switch, however - wow much stronger and quicker starts, and much better throttle response - and I'm pretty sure I'm not making that up. I wish I'd replaced this 20+ year old electrical switch when I first started with the alternator problems all that time ago. Congratulations. I think I should replace the one on the 99 model just to keep from having to deal with a failed switch at some point. Long term owners of our cars recognize the wisdom of that statement. So might as well replace well known iffy stuff when we get a chance to work on semi-related stuff. Im thinking particularly about uim removal , fuel injectors, the egr, and other fluster clucks related to that. Seems that our cars general weaknesses are well known. Oddly, the rest of the car is relatively trouble free. NO NO NO. I don't want to hear that..
Yep.. The rubber accelerator pedal covers seem to last without issue. From what I understand, there are only a couple of car battery manufacturers that supply all the car batteries. 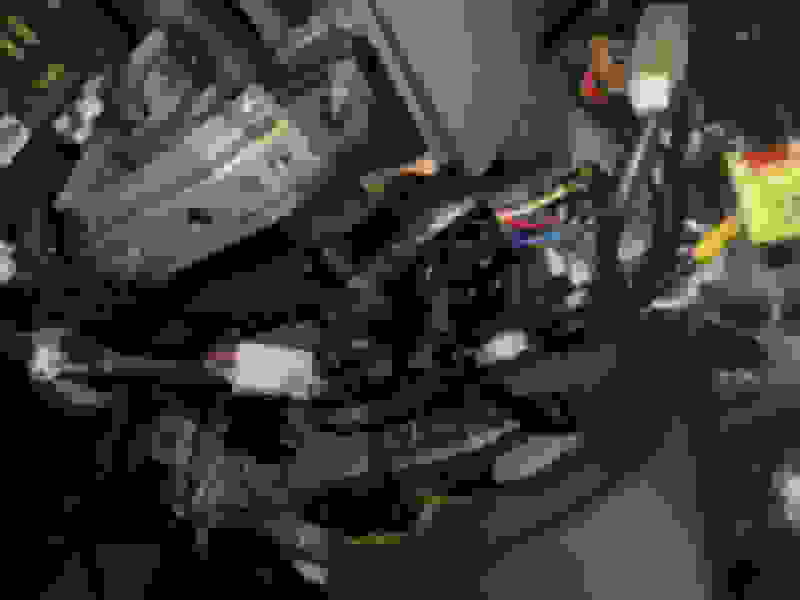 I know of Johnston Controls and Exide. I am not sure if there are any others. They produce all the car batteries and brand them for particular companies. Does anyone else know different? I guess we could do a whole thread on who manufactures all the auto batteries worldwide. How do you know if your ignition switch "was" bad? Maxima R34 style Headlights a good buy?